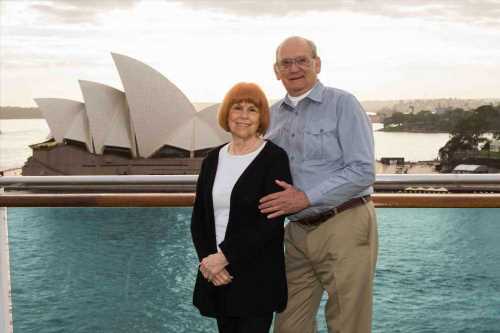 Home » Travel » Meet the 81-Year-Old Retiree Who's Spent 7 Years on a Cruise Ship — and Found Love on Board! When Ilene Weiner began cruising in the late 1980s, she had no idea she would one day become Princess Cruise Line’s most traveled guest — and has spent about 7 years total at sea. She boarded her first ship with her late husband Howard right after they got married, but the experience wasn’t a positive one. In fact, she got sea sick. So she continued cruising every chance she got, embarking on a voyage once or twice a year. However, when she retired from her job as a mortgage banker and moved to Florida, her cruise habit picked up steam as she was only around 45 minutes away from Port Everglades, a cruising hub. What began as a once or twice a year habit, turned into cruising, on average, 8 or 10 times a year and spending nearly half of each year on a ship. In March, Weiner celebrated her 282nd cruise on Princess Cruise Lines, marking 2,500 days at sea. Weiner says she was drawn to the line because of their loyalty program and their ability to accommodate older passengers, especially because Howard required a motorized scooter during their travels. After Howard passed away in 2014, Weiner had to board her first cruise without her travel partner. The solo trip she took was out of California about two months after Howard’s death. So she continued taking trips by herself for years, meeting up with other elite members who had become friends and always being welcomed by the crew when she stepped on board. But in August 2017, while she was on a trip with her daughter on board the Crown Princess through Scandinavia, Weiner met Carl Cutting, who was traveling with a group of friends, including one person Ilene had met on a previous voyage. At the time, Weiner was on a triple back-to-back cruise, and had planned to meet up with Cutting’s group on a later sailing. 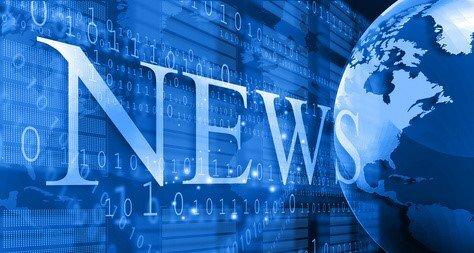 However, she ran into Cutting, 76, at the bar during the first leg of her journey. “We started traveling together that October and we’ve been traveling together and living together ever since,” Weiner says. For Cutting, it was the most memorable trip he’s ever taken. “The one I met Ilene — that was certainly the highlight of my cruising,” he tells PEOPLE. For Cutting, cruising became his saving grace after his wife of nearly 40 years passed away in 2010 following a four-year illness. But he went anyway, taking a trip through the Panama Canal in 2012. When he got back, he had already started planning multiple cruises for the future. Now, Cutting and Weiner split their time between Oregon and Florida, and spend nearly half the year cruising together. For both of them, their favorite ship of all time is the Pacific Princess, a 670-passenger boat with only one dining room that does voyages to smaller ports like Sydney and the Panama Canal. Currently, the pair are gearing up for their longest journey ever — an 111-day world cruise setting sail in 2020 that will knock Weiner’s previous 73 consecutive days spent at sea out of the park. During the cruise on the Pacific Princess, the couple will visit ports in African and Asian countries Weiner has never been to, like Madagascar and Sri Lanka. As for whether they’re nervous to be gone for so long? Absolutely not. RELATED: There Is Now an Adults-Only Cardi B Cruise — And Yes, She Will Be on Board, Okurrr? Weiner would not say how much she spends each year on cruising, but did say she doesn’t create a budget specifically for her journeys.